Insurance companies optimise their combined ratio: With UBIMET’s early severe weather warnings, insurance companies can help their customers prevent damages or keep them to the absolute minimum. Looking for current severe weather warnings in Austria, Germany or Switzerland? With its Severe Weather Centers, UBIMET issues severe weather warnings to the public regarding heavy rain, thunderstorms, gales, snow or freezing rain. Insurance customers receive individual, early and reliable warnings – giving them the opportunity to take precautionary measures in a timely manner. 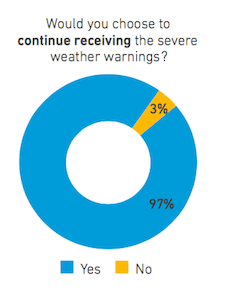 How do insurance companies benefit from the severe weather warnings? Recipients of the alert have the opportunity to immediately implement measures. Surveys show that customers close their windows, secure garden furniture and park vehicles in the garage, among other actions. This helps to minimise damages or, ideally, avoid them entirely. 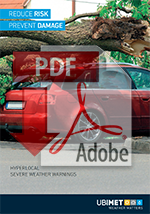 Your company is shown as the sender of the severe weather warning. This additional contact is positively perceived by the insured and strengthens customer loyalty. In addition, insurance companies providing this service are perceived by their customers as innovative and customer-oriented. Moreover, this service contributes to keeping customer data current. 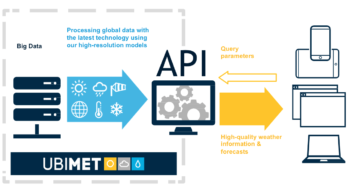 The highest level of reliability regarding severe weather warnings is not only ensured by a progressive, multi-step process, but also by means of location-specific weather analysis and warnings generated with modern, high end technology. 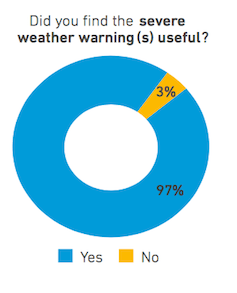 Did you find the weather warnings useful? Did you act upon the severe weather warning? 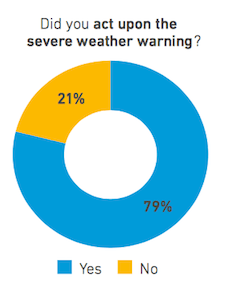 Would you choose to continue receiving the severe weather warnings?